משלוח: $1.7 סה"כ $44.69 ~ כ 162 ₪ בלבד. לניפוח כדורים, גלגלי אופניים, מתנפחים לבריכה ואפילו לרכב! סה”כ $44.69 ~ כ 162 ₪ בלבד. 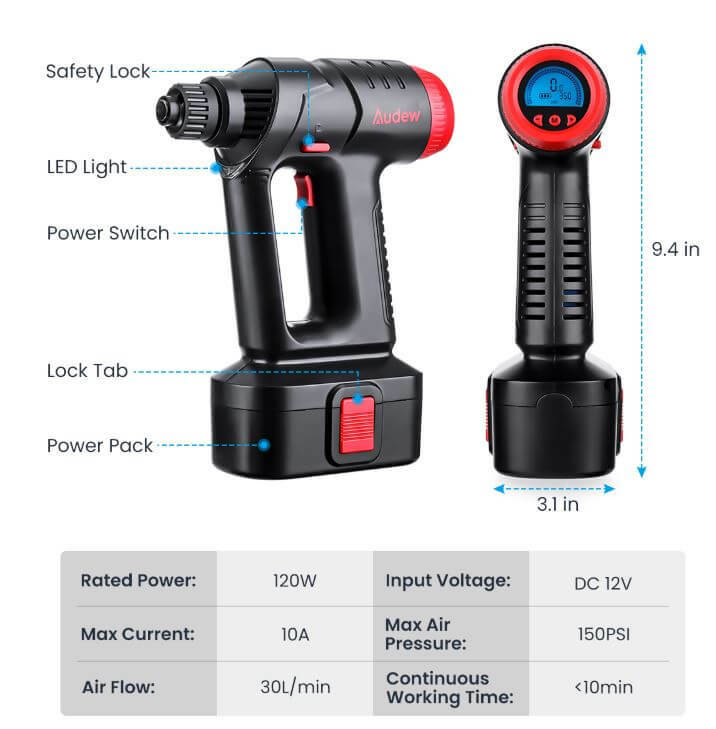 ✔ Cordless & Large Capacity Battery – AUDEW cordless air compressor features 2200 mAh large capacity and rechargeable lithium battery, without annoying power cord. 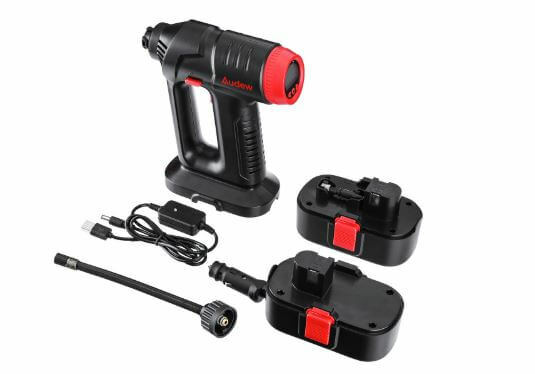 It also can be powered by both the Li-ion rechargeable battery and the 12V cigare tte lighter adapter, dual-use and hassle-free. 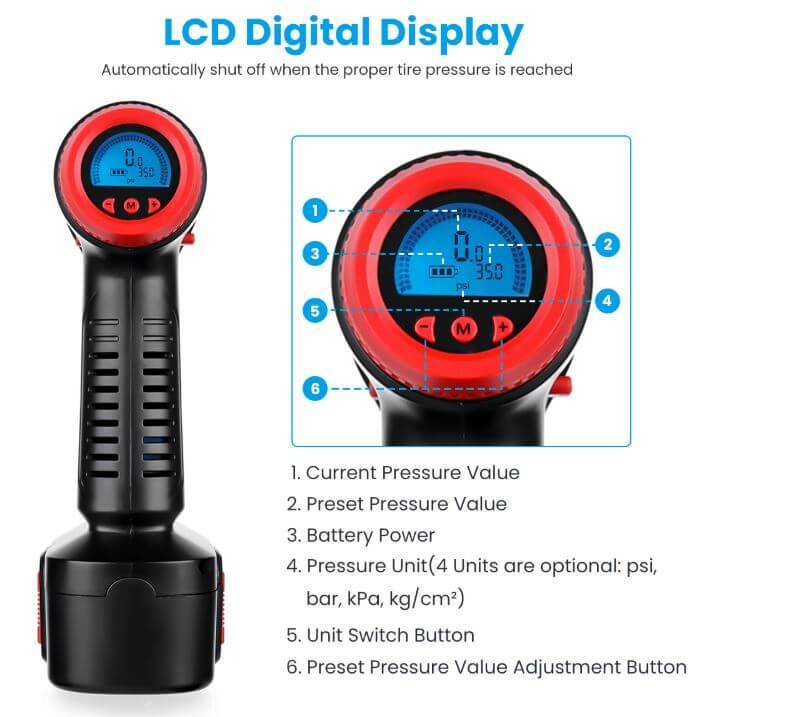 ✔ Auto Shutoff – Simply set your desired pressure with AUDEW tire inflator then switch it on, tire inflator will automatically shut off when the proper tire pressure is reached. Super easy to use! 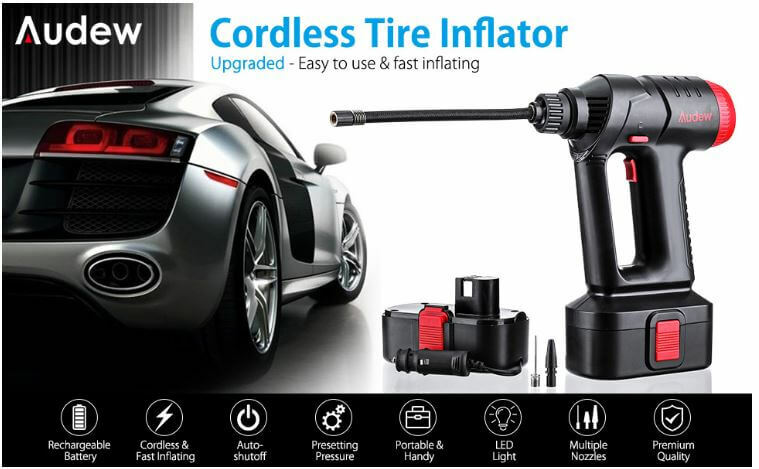 ✔Fast Inflating – Inflate a flat tires in approximately 2 minutes or less. 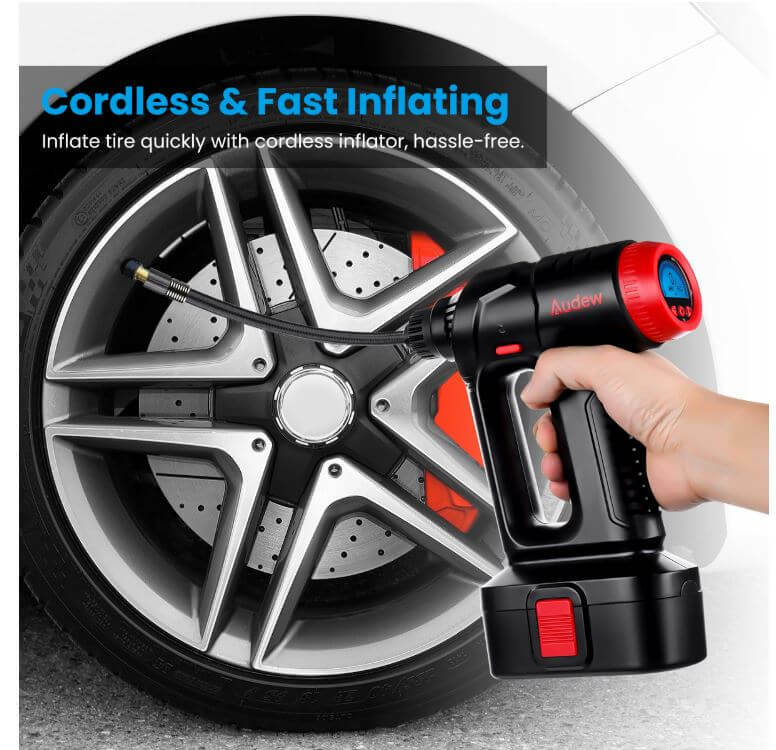 Its powerful 120W automobile tire pump delivers inflating air at impressive rate of 35 L/min, much more powerful and fast than traditional pump! 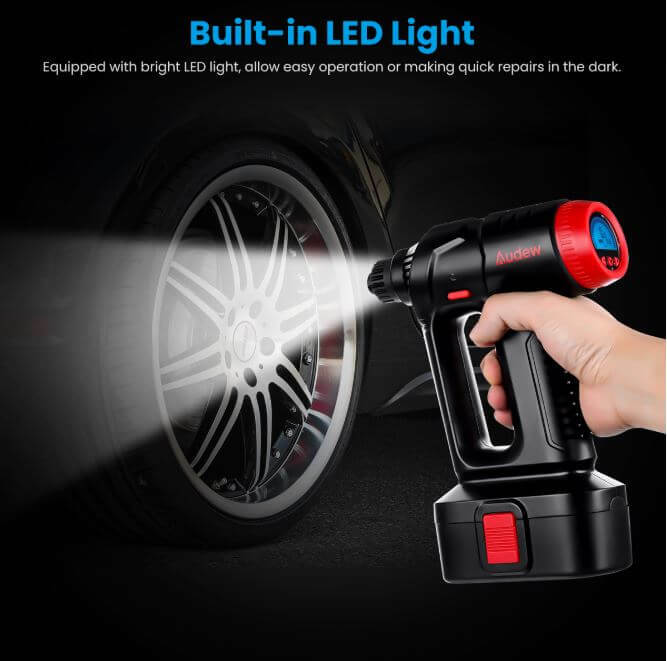 ✔ Excellent Performance & Great Durability – AUDEW tire pump is suitable for all tires of your small/medium-sized cars (SUV included), bikes, motorcycles. Also equipped with 3 nozzle adaptors for mattresses/airboat/toys/sports balls/inflatables. Press the “M” button to switch the pressure units: BAR, KPA.PSI. kg/cm². Set your desired pressure value by pressing “+” or “-“. Once pre-set pressure is set, wait a few seconds for display to change back to zero.